The Rototilt MG Multi-Use Grapple can handle any type of heavy-duty grapple work. 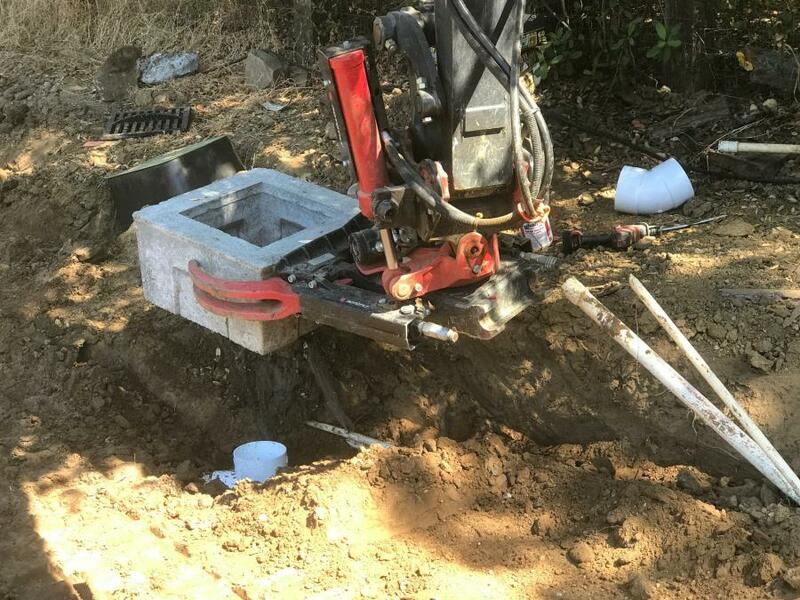 Since 2004, Core Engineering Inc. has specialized in excavation and the installation of underground utility services — electrical, gas, water, sewer, telecommunication — as well as providing its San Francisco Bay Area customers with a range of general building and landscape construction services. “Underground work has become my niche. When you start focusing on one thing and get connected with the right people, business starts building by word of mouth,” said David Lara, president of Core Engineering. In the early years, Lara used a skid steer and mini-excavator for his drainage, sewers and trench work. He also needed two to three temp workers at $50-55/hour on every job site to keep dirt away from buildings, help switch out buckets or tools, grade by hand or keep material piles coned so it could be picked up by the excavator. “I needed two excavators because the big one couldn't get in tight areas beside houses and the small one didn't have as much power, so it would take me three times as long as with the big one,” he recalls. By 2016, Lara was looking for a piece of equipment that could maneuver like a human could, without the cost and liability of workers. “I wanted to be able to dig around pipes from any direction and work my way out with a clean site. I started looked at tilting buckets, but I wanted something more,” he said. 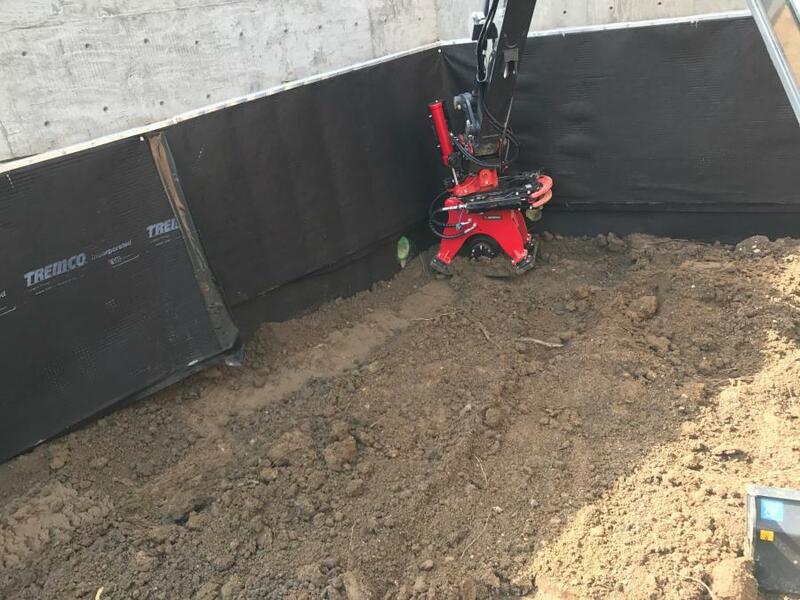 That's when he learned about Rototilt, which gives him 40-degree tilt and the added flexibility to rotate all his attachments 360 degrees so it's easy to position his machine at the optimal angle for every job. He bought the lighter weight, responsive, Rototilt RT20 model, designed specifically for 3 to 6-t excavators and installed it on a John Deere 60. When it comes to estimating projects, keeping track of the numbers is Lara's top priority. 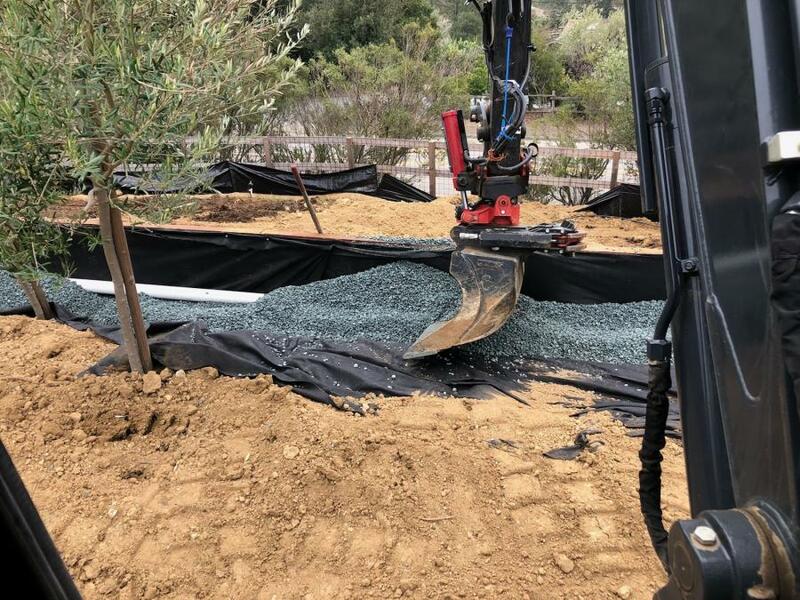 He has always measured and documented every element of the job but when he pulled into the first project with a Rototilt, those calculations went out the window. Since Rototilt can tilt and turn, Lara doesn't have to reposition himself as often. This means less remediation and clean up of where he tracked, which Lara estimates saves him 70 percent of restoration time. 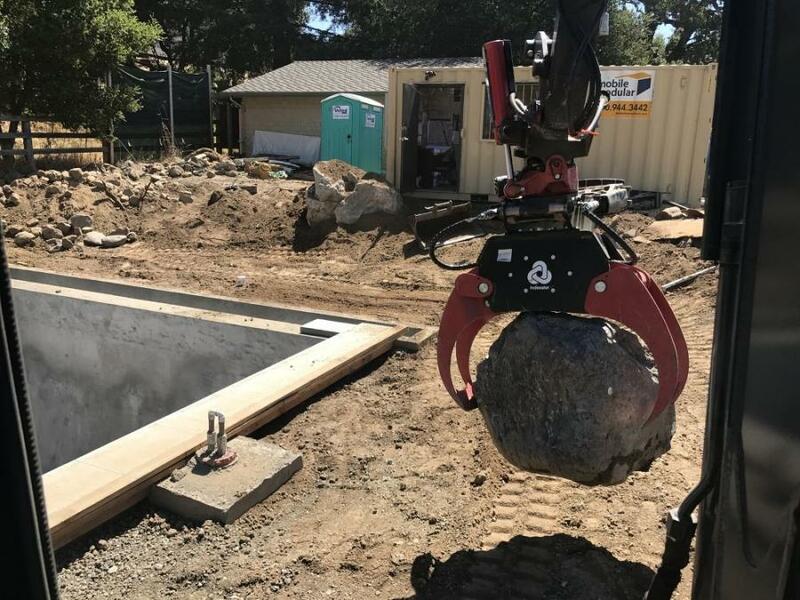 Whether it's grading and compacting slopes, exposing underground pipes or cables, building retaining walls, or placing boulders, the Rototilt Proportional Control System gives operators proportional control over all functions, and is equipped with specialized modes including a pulse/shake mode to spread material and a creep mode for fine positioning. 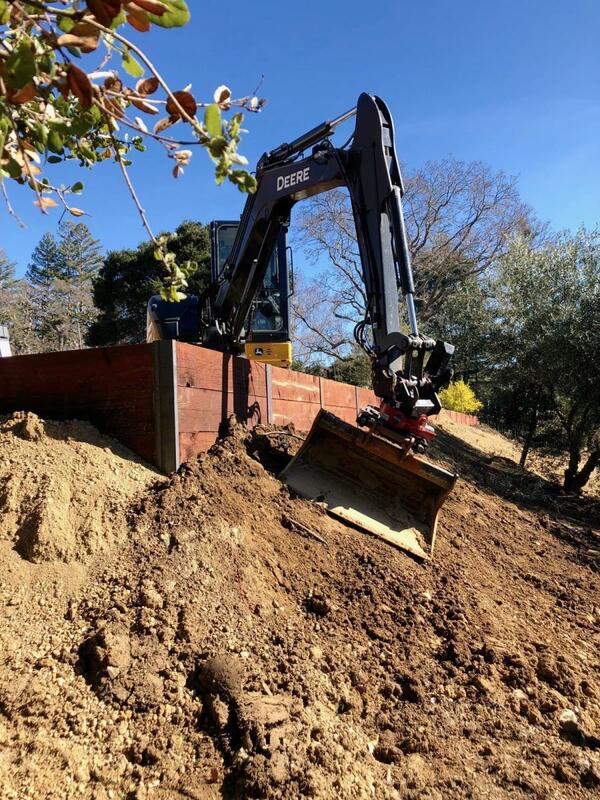 In addition to the standard digging bucket and a universal ditching bucket, Lara added several Rototilt attachments for increased versatility including a cable bucket, grapple module, Rototilt multi-use MG20 grapple, and Rototilt C22 compactor. The built-in hydraulic quick coupler also saves Lara time and labor since he can quickly and easily switch from one attachment to another without getting out of the cab, and the conventional coupler mounts let operators use a wide range of other attachments like Lara's screening bucket, sweeping broom, and drum grapple. Lara is constantly looking at new attachments to extend the functionality and has a set of forks on order. He said that, while he bought the optional blade for the John Deere, having the Rototilt means he rarely needs it. In the past, Lara said he needed to dig wider trenches to accommodate excavator placement, which also meant he needed larger plates to cover the holes in the road, it took longer to back fill and he was moving a lot more material around. The versatile 40-degree tilt and 360-degree turntable means Lara can get at pipes from better angles and dig smaller holes. This translate into less restoration, less slurry backfill and smaller plates to keep the streets open. Lara has found site clean up is faster than ever. Being able to rotate and break up debris and place it in the trailer takes up less room so he can maximize his loads and reduce tipping fees. With a broom attachment he can quickly clean up driveways, which his clients love. The Rototilt grapple module also gives Lara a big hand removing fabric from between rock and dirt. In the past, he'd have to haul out around 200 yds. of dirt on a typical job because the material would be contaminated as laborers struggled to pull the fabric out of rocky dirt. For Lara, the labor savings adds up when he considers payroll, and workers compensation, as well as the damage laborers can do to site or equipment. Core Engineering is looking at adding a John Deere 30 outfitted with Rototilt RT10 and will also look to equip the new Doosan DX 140 that Lara said he bought for cash from the increased revenue made possible by his Rototilt-equipped excavator. “That was my Christmas present,” he said, laughing. And while Lara admits there are only a few guys in his area with one, he's never looking back.